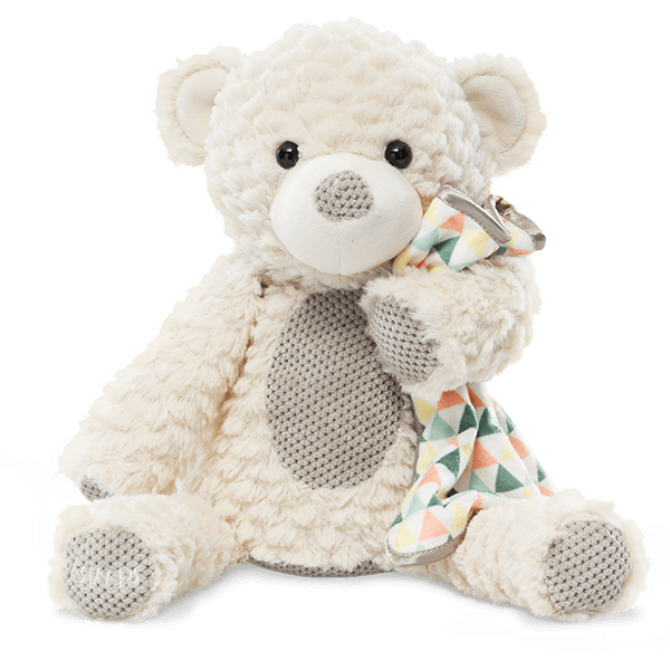 Serena the Sleepy Bear Scentsy Buddy is so, SO soft! With Minky-like fabric, this luxurious, silky-soft bear is cream colored with grey accents. Her cute little face, coal black eyes, and snuggle soft cuddles will be the new nap time favorite. She even has a cute bedtime blanket of her own -sateen on one side and colorful on the other. What a great new friend Serena will be! Scentsy Buddies are limited edition, so don’t wait because they do sell out. More Buddies are added when others sell out.